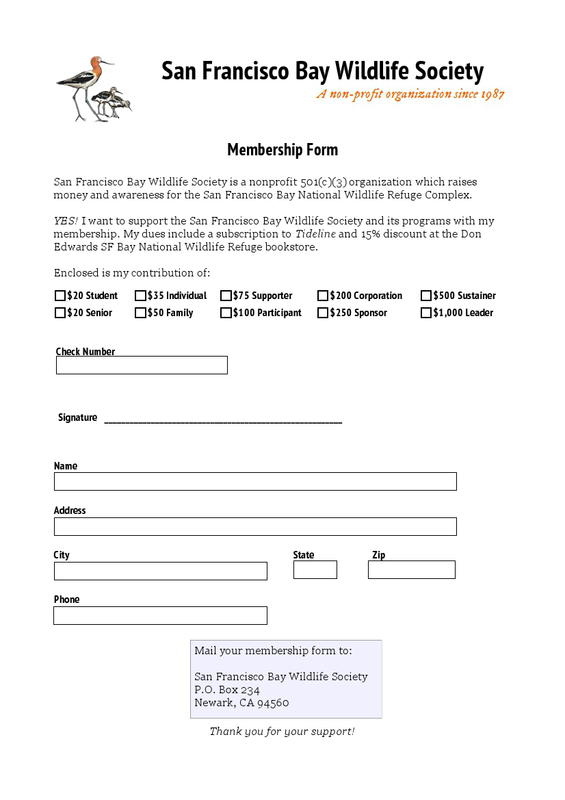 Become a Supporter of the San Francisco Bay Wildlife Society. 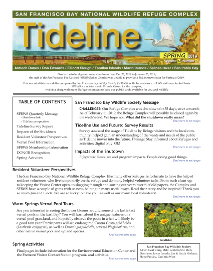 Your dues will include a subscription to Tideline and a 15% discount at the Don Edwards San Francisco Bay National Wildlife Refuge Nature Stores at the Visitor Center in Fremont, and Environmental Education in Alviso. The San Francisco Bay Wildlife Society works to fund educational events, research and exhibits in cooperation with local, regional and state agencies. With federal cut-backs to the U.S. Fish & Wildlife Service budget, your funding of our environmental programs is very welcome. The joy of giving in support of the protection of this important environment. Select an amount below and click on the Pay Now button to make an online purchase via Paypal. Download and fill in the membership form, join today, and begin taking advantage of member discounts, publications, activities at the refuge, and more!